Patricia Pinho is currently working at the Stockholm Resilience Center (SRC) on the GRAID project focusing on Anthropocene dynamics impacts on Socio-Ecological Systems. Her primary research focus is on governance and institutional arrangements in climate change, vulnerability, and resilience of socio-ecological systems, including adaptation and sustainable pathways. She also focuses on the relationship between ecosystem services, human wellbeing and climate change in the context of the SDGs. She is a Lead Author of “Chapter 5: Sustainable development, poverty eradication and reducing inequalities” of the Special Report to the IPCC “The impacts of global warming of 1.5 °C above pre-industrial levels and related global greenhouse gas emission pathways, in the context of strengthening the global response to the threat of climate change, sustainable development, and efforts to eradicate poverty”. She is also Lead Author for “Chapter 8: Poverty, livelihoods and sustainable development” of the Working Group II Contribution to the IPCC Sixth Assessment Report Climate Change 2021: Impacts, Adaptation, and Vulnerability (WGII AR6). Dr. Pinho is with INCLINE (Interdisciplinary Center for ClimateChange Research) at IAG, University of São Paulo. 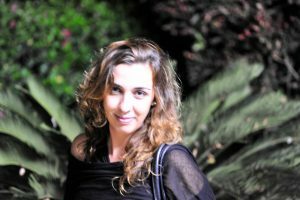 She has served as scientific coordinator of the International Geosphere-Biosphere Programme (IGBP) Regional Office in Brazil and has been leading actions for the establishment of Future Earth platform in Latin America. She has actively been leading international research projects on ecosystem services and poverty reduction, as for ESPA Program, UK and OPENess (Operationalization of the Natural Capital Concept for Ecosystem Services) from European Union. She had coordinated of the “Citizen Science” Initiative for the Amazon Basin for Gordon & Betty Moore Foundation.